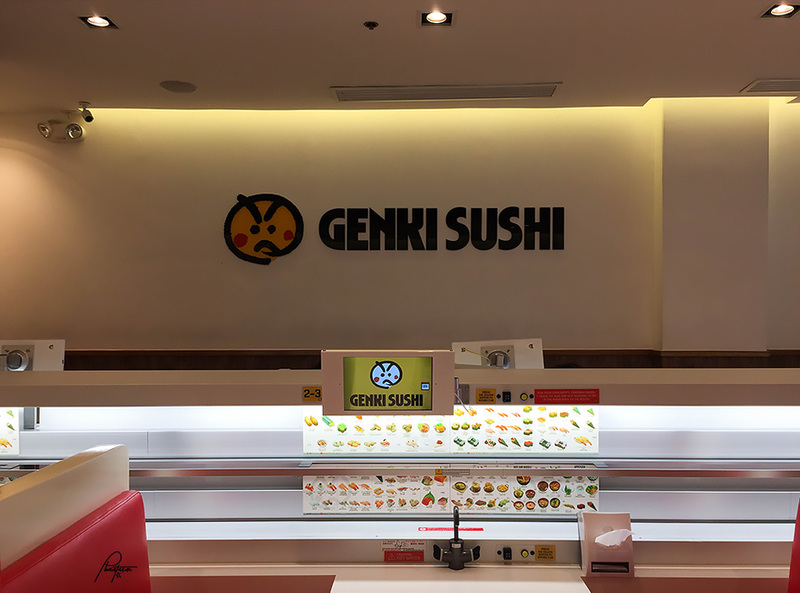 As part of our Ayala Malls the 30th food crawl with foodie friends, we tried out Genki Sushi's new dishes on the menu: selections and donburi. 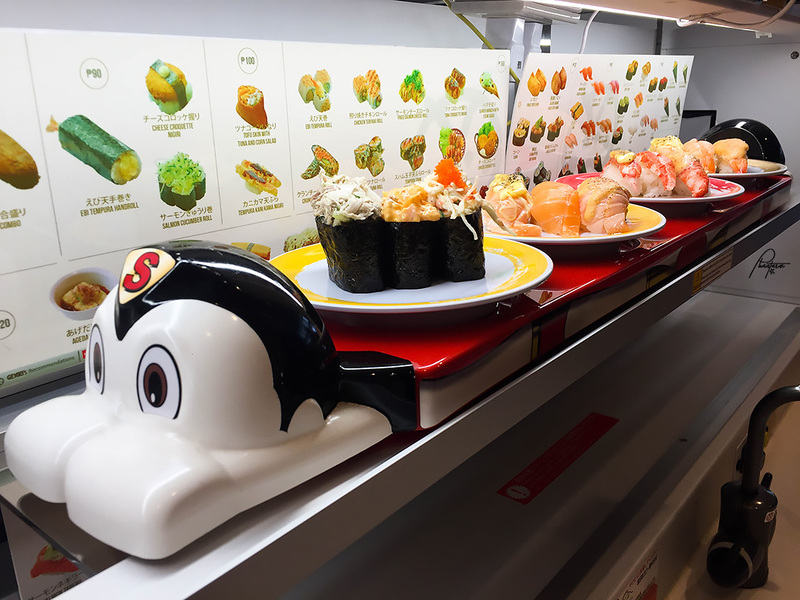 Located at the second floor of Ayala Malls the 30th, Meralco Avenue, Ugong, Pasig City, Genki Sushi is quite popular with their dishes served on cute sushi trains. 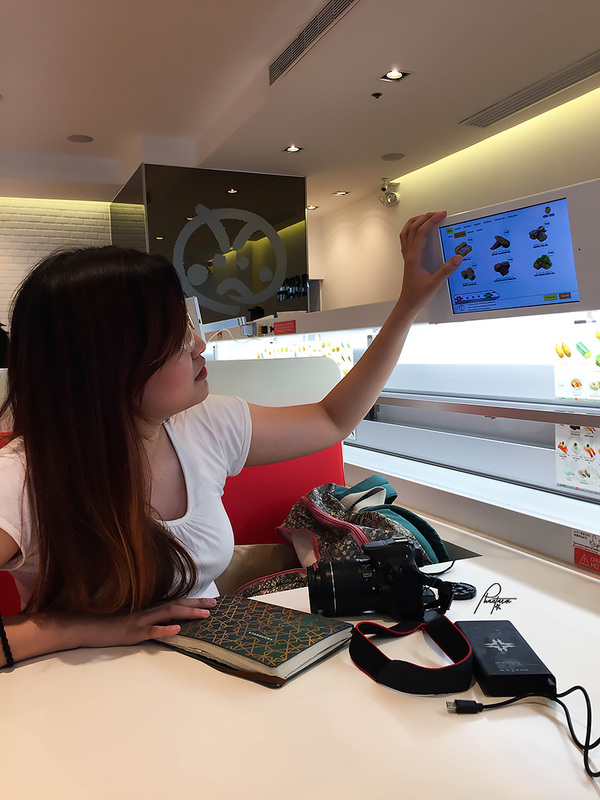 It's quite fun to order food at Genki Sushi because you place your orders through their tablet and it's served to you through their sushi train. 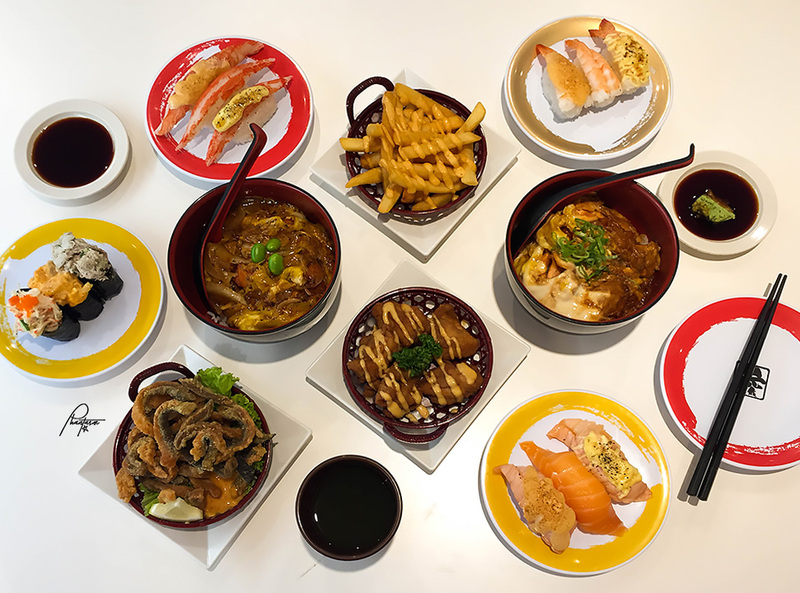 I also like how every dish has a photo which makes it easier for you to decide what you want, especially if you are not familiar with the meaning of certain Japanese dishes. 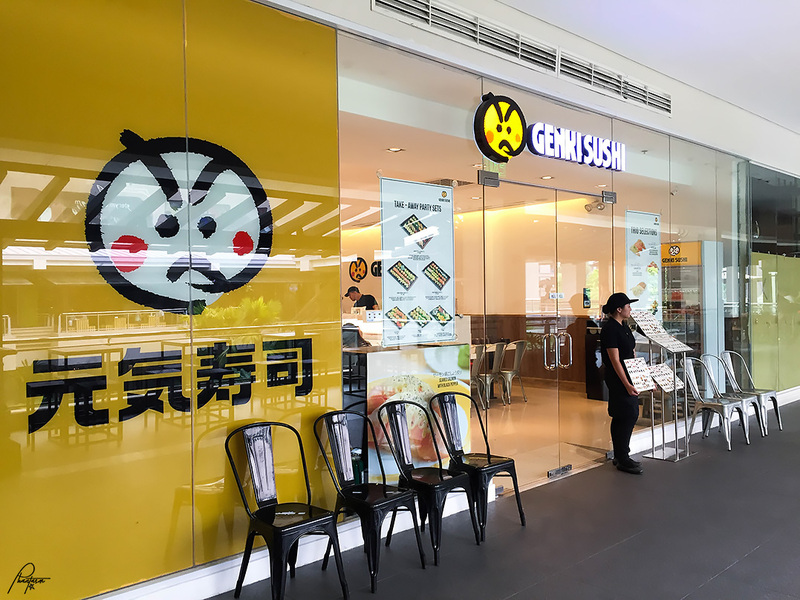 Genki sushi serves unlimited instant matcha green tea. 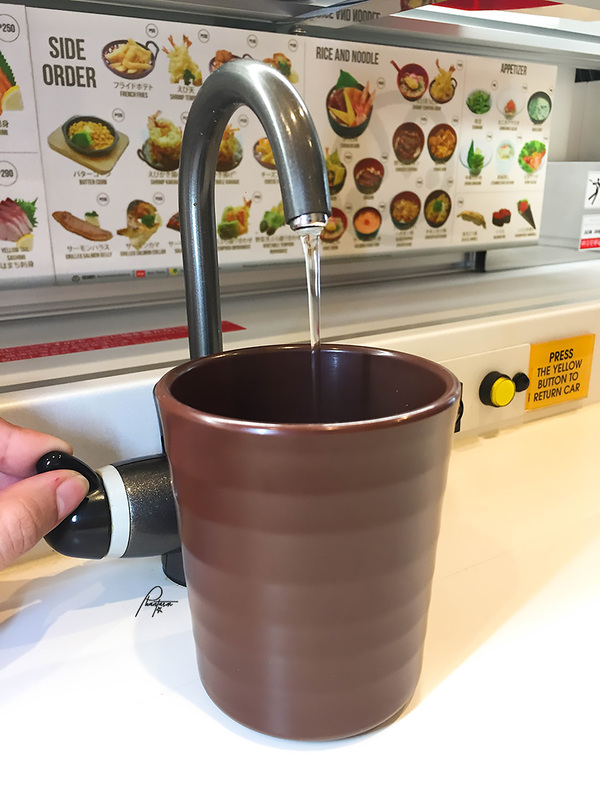 A hot water faucet is available at the side of the table, along with the matcha powder, for you to make your own tea. Order has arrived. 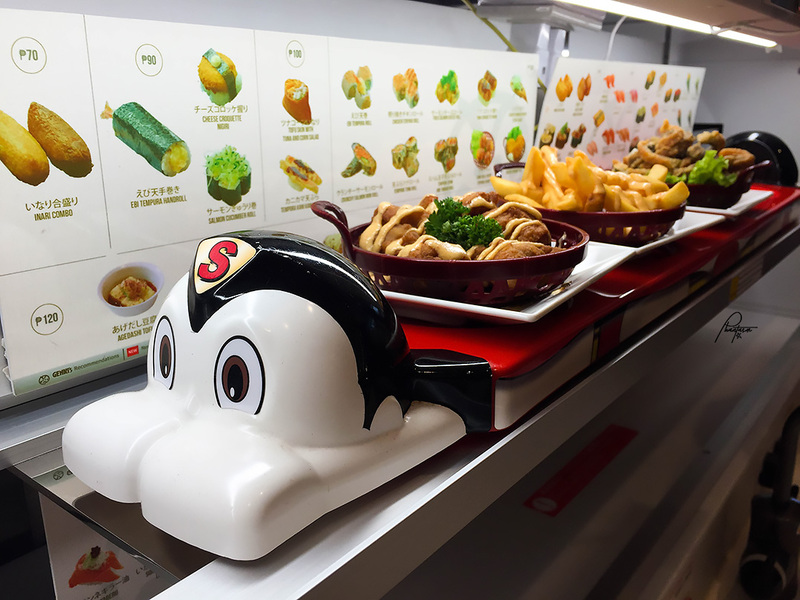 We're trying out all of the new dishes. First up, selections. 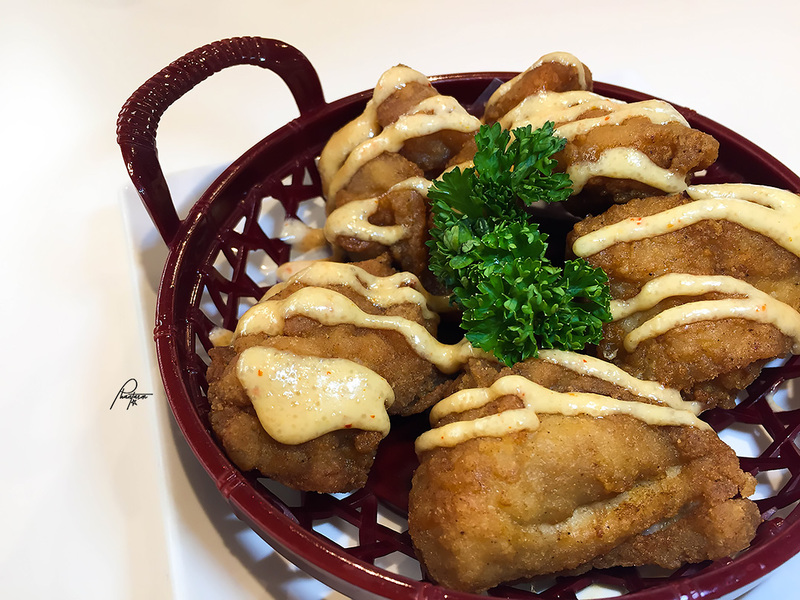 Fried Chicken with Pollock Roe. 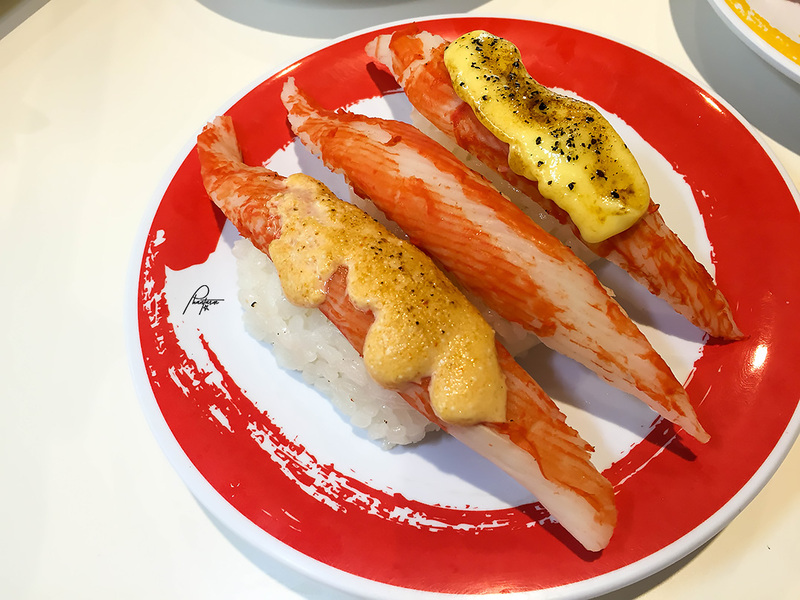 Pollock roe or Mentaiko in Japanese, is the roe of Alaska pollock, which is an excellent source of protein. The fried chicken is boneless, with an ample amount of breading. It's tender and comes a bit salty. 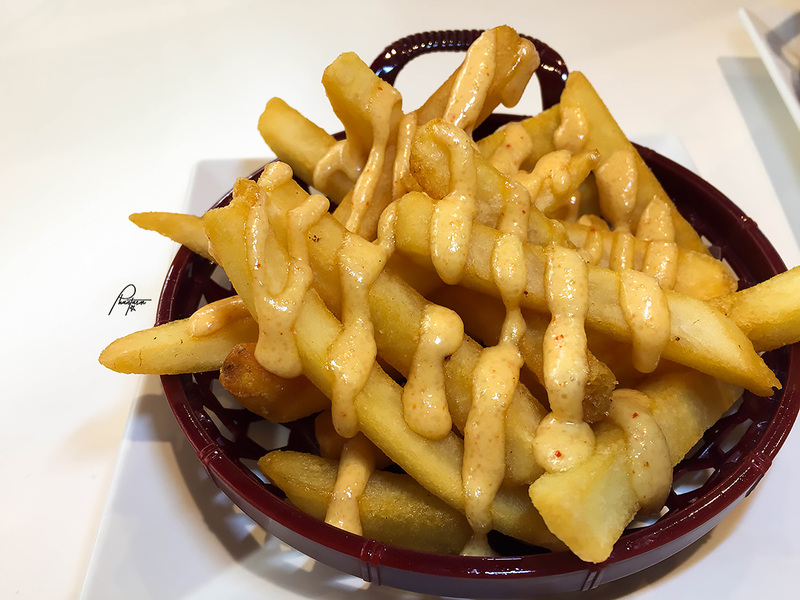 French Fries with Pollock Roe. I find this mix interesting. Pollock roe on fries. It's good. 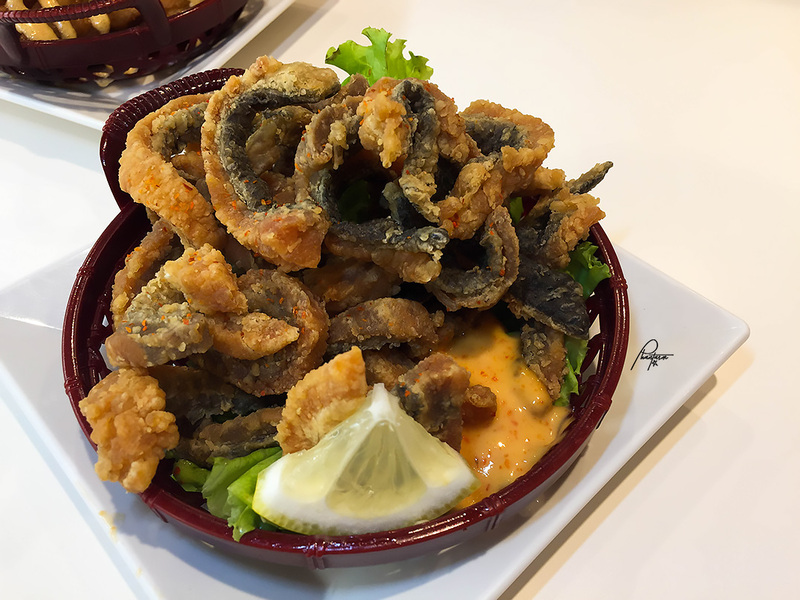 Fried Salmon Skin. Crispy and rich in flavor. Next up, trio selections. 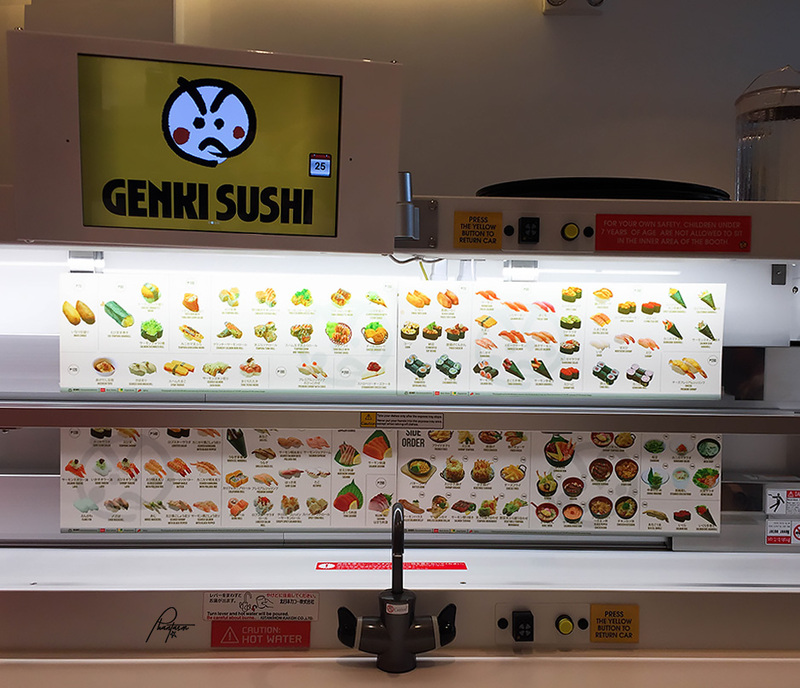 I tried them all, and my favorite ones are those with the black pepper. Shrimp Trio. 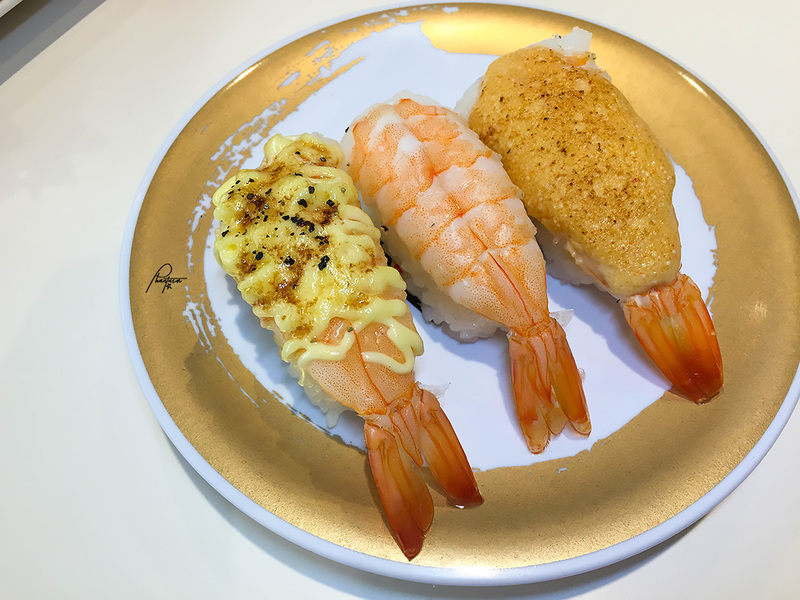 Shrimp, Seared shrimp pollock roe, seared shrimp black pepper. 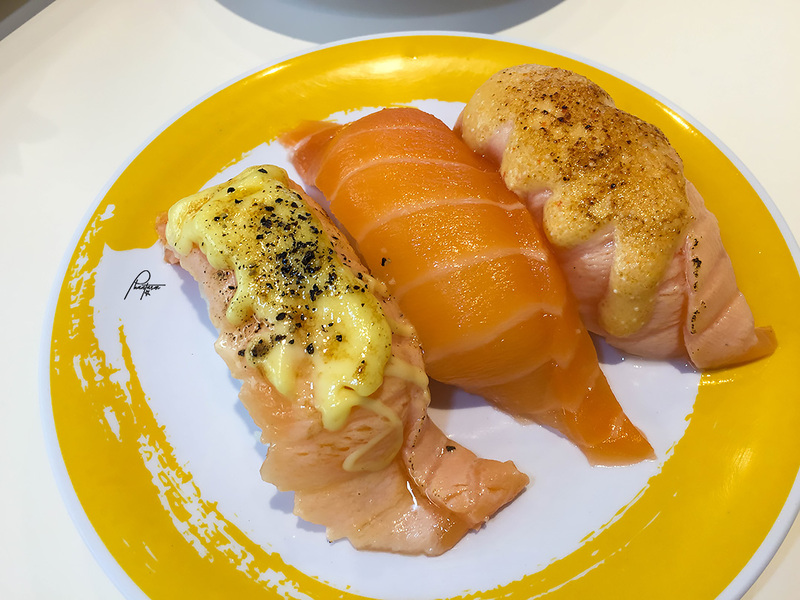 Salmon Trio. Seared salmon pollock roe, Norwegian fresh salmon, seared salmon black pepper. Kanikama Trio. Crab, seared crab black pepper, seared crab pollock roe. 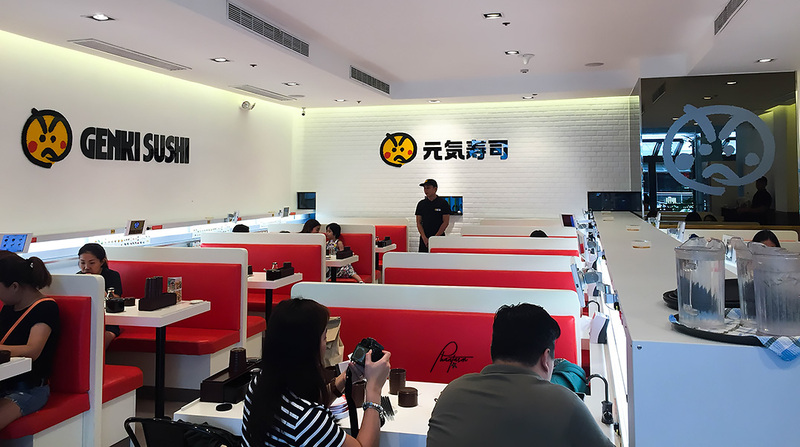 Gunkan Trio. 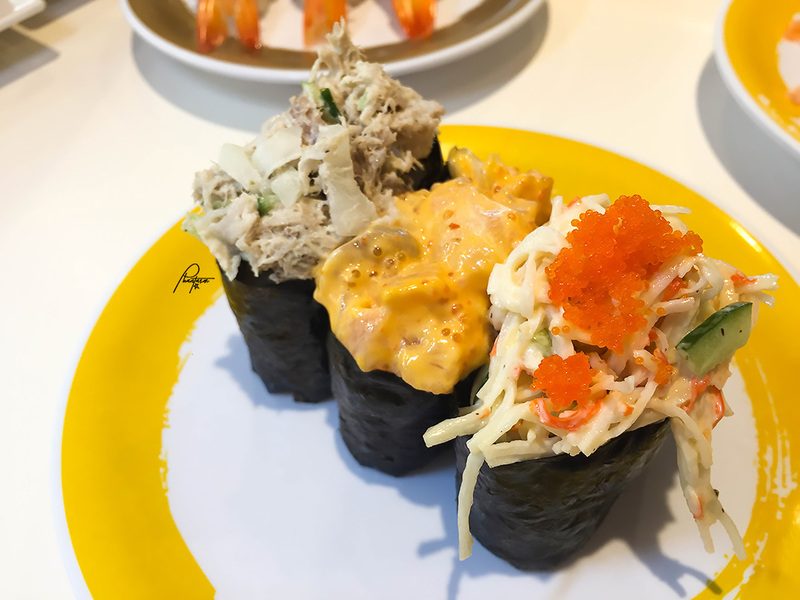 Crab salad, spicy salmon, tuna salad. Salmon Black Pepper. 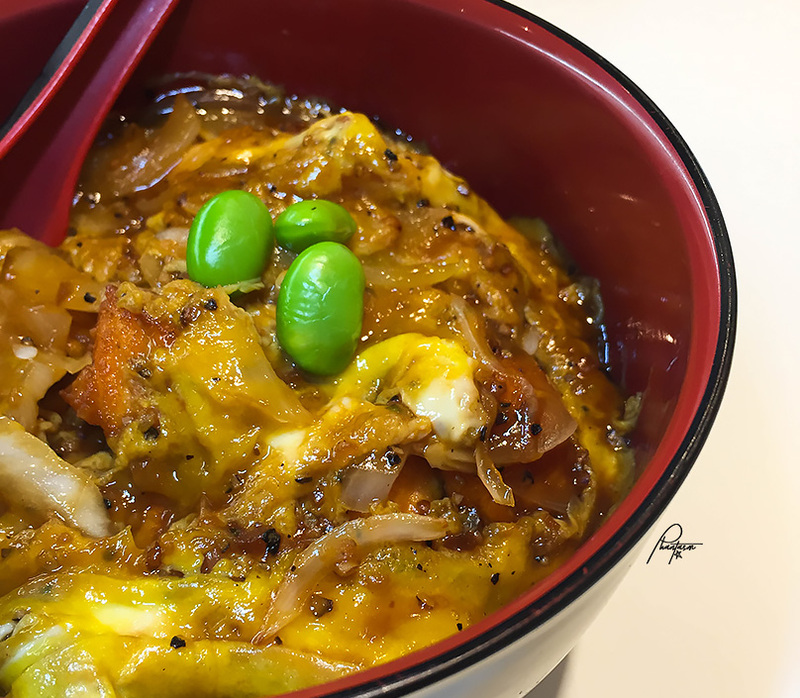 The donburi is more sating which works well with the selections. I like the amount of black pepper in this dish which gives it a good spice, along with the onions. 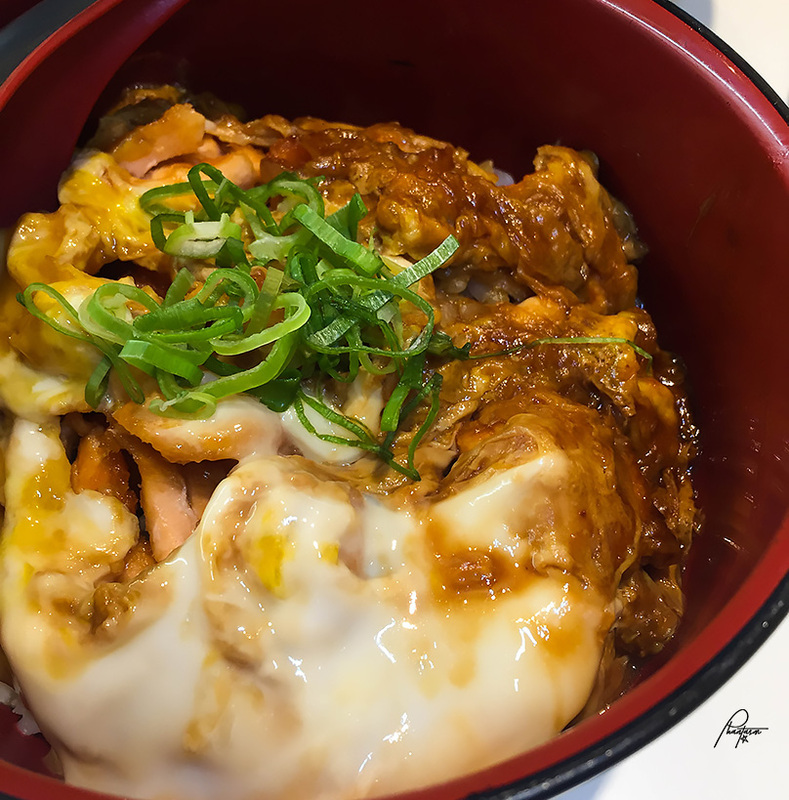 Salmon Teriyaki Donburi. A sweeter option. 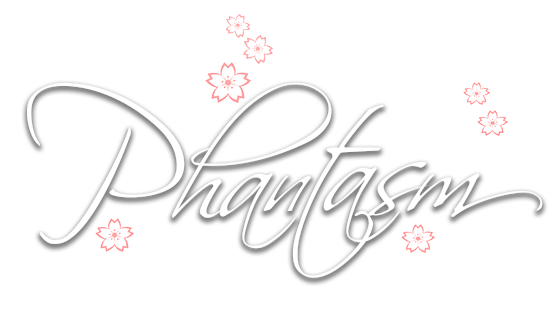 Also delectable.